I will help you identify what you want in your new residence. A pool? A Garage? An extra room? A particular building design? What about the neighborhood? Proximity to schools or work? I will compare your needs, wants and budget with what is available on the market – and make recommendations that save you time and effort. 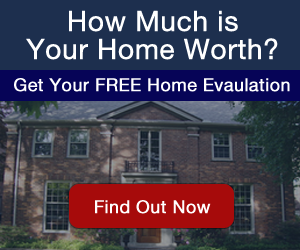 I will accompany you as you view houses and help you assess their suitability and price. As an expert on a property, I can provide facts on the neighborhood, the cost of heating, the condition of the furnace, and so on. Multiple Listing Service or MLS is an exclusive service accessible only through a REALTOR – and it can be a valuable tool. Through MLS, the details of a wide variety of listed properties are made available to me. That can save you a tremendous amount of time and effort in your hunt for the right home. I have broad and current knowledge of the financing choices available to home buyers – and there are many of them, an often confusing array. At your request, I will assist in evaluating mortgage options and obtaining financing at the most attractive prevailing rates and terms. I am experienced in arranging fair deals and I will assist in negotiating an offer, acting as a mediator to head off potential conflicts between you and the seller, and draw up a legally binding contract.